I was pleased to see this arrive in my mail box yesterday! The samples are quite decent sizes as well. I have been religiously using the Neutrogena eye makeup remover and it’s definitely my favourite. 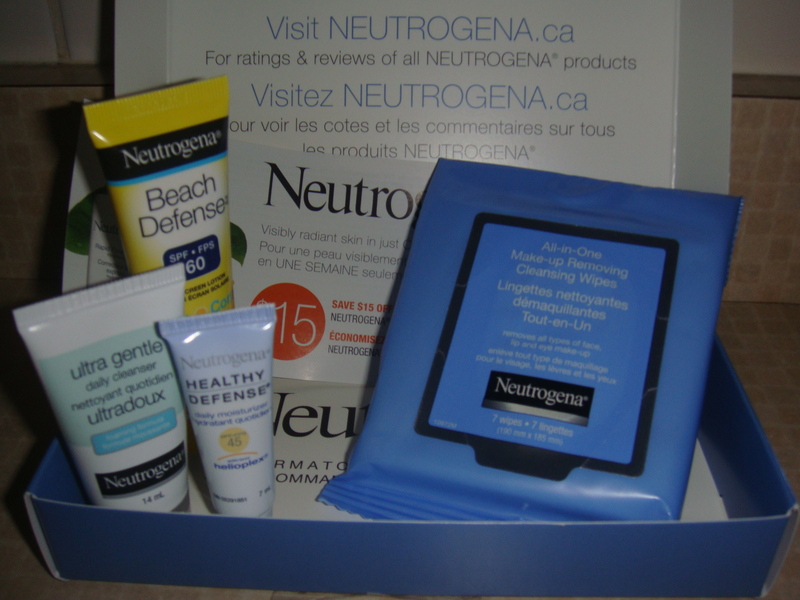 I haven’t really used any other Neutrogena products so this is a great way to sample more of the brand’s products. – Can’t go wrong with sunscreen lotion! Especially since the weather is warming up. – I am always excited to try different facial cleansers, so this will be interesting to try. – I like that this moisturizer has a higher SPF than most other facial moisturizers out there. – I always use a makeup removing wipe every night which does a great job of getting rid of the dirt, oils & makeup before cleansing. I haven’t tried these yet, so I am excited to see how well they remove makeup. – This is a great coupon! I wonder how much these products are originally though..
Did you request one of these sample boxes? What did you receive? Please also check out and enter my beauty giveaway! I didn’t know you could request sample boxes from Neutrogena. I have been using one of their moisturizer with SPF15, and I really like it! It looks like you have lots of new goodies to experiment with!